Waffen-SS Generals White top Peaked Cap. 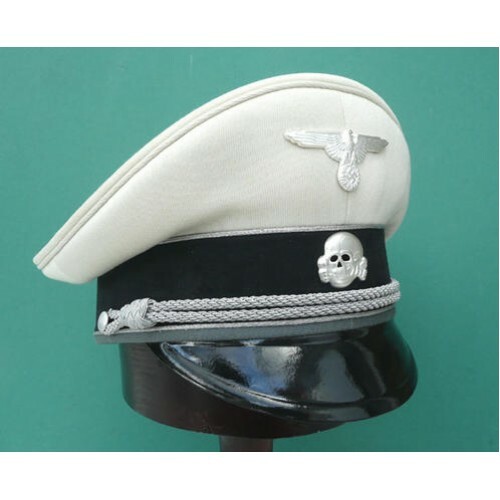 Waffen-SS Generals white top peaked cap (Weisse SS-Dienstmutze). 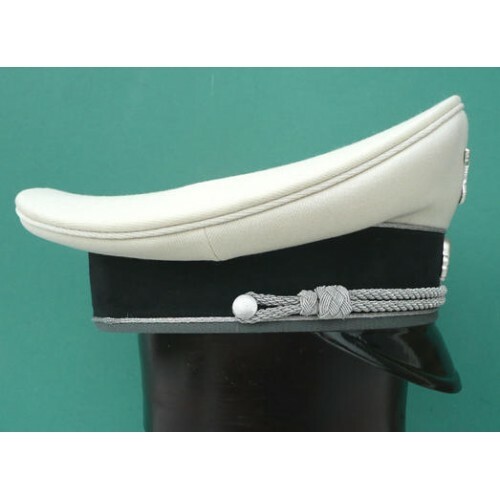 White piped tricot top, black band with 2 rows of silver piping & grey tricot below the cap band. 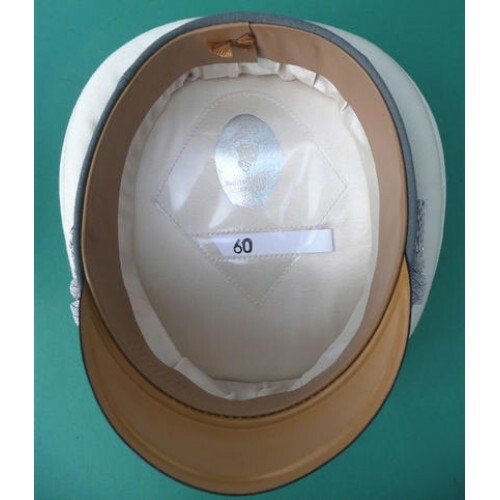 Complete with aluminium cap cord & buttons. Silvered or antiqued metal skull & eagle. Also available in white 'doeskin'. Interior detail will vary. Special production for Extra Klasse by Michael Janke.